Digi-Flex develops isolated finger strength, flexibility and coordination. 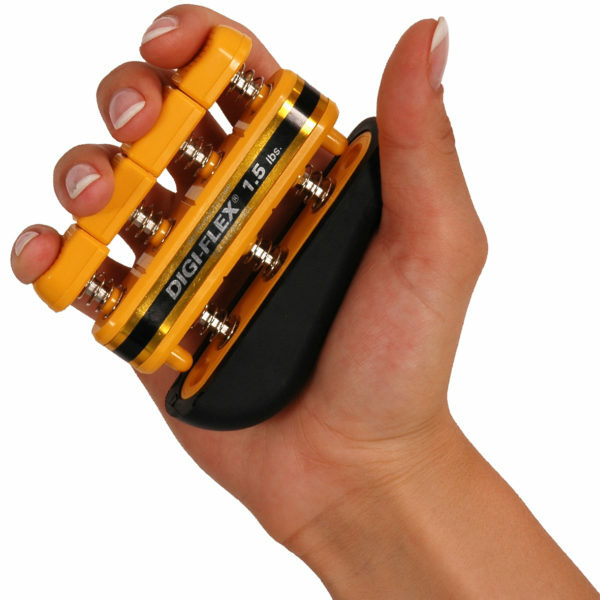 Besides isolated finger strength, flexibility and coordination, the Digi-Flex also builds hand and forearm strength. Use each button independently to exercise fingers or compress the entire unit for complete hand and forearm strengthening. Stronger fingers cannot compensate for weaker ones. Comes with illustrated manual. Progressive colour-coded resistance gives patient positive feedback. We also offer the MoVeS Flex-Ion for which you can find an exercise chart here.